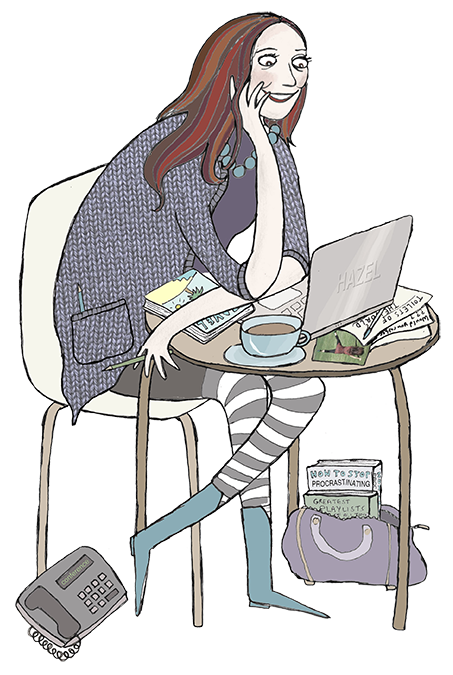 I’m Hazel Davis, a freelance journalist, copywriter and media comms person based somewhere in the beautiful Pennines. I contribute to a number of publications including the Financial Times, Guardian, Telegraph, Times and plenty of the women’s “glossies”, in-flight magazines, the varied and interesting trade press (oh you’d be quite surprised at some of the titles on my CV) and many more. Until it moved to podcast format I was an assistant editor for fabulous game-changing women’s magazine Standard Issue. I co-run Muse Flash Media (training journalists and SMEs in the crafty ways of the media) with the very brilliant Heidi Scrimgeour and I run social media accounts for a range of small (and slightly less small) organisations. I can’t tell you who or I’d have to kill you. It may be fair to say that I will pretty much try my pen at most things. Within reason. I am also a skilled and experienced copy editor, working regularly for a range of clients, including the British Council, Virgin, Clydesdale Bank, Marie Curie Cancer Care, LighterLife and a host of others, large and small, in the public, private and charity sectors. My passions are travel, comedy and music and I sing with a really brilliant choir called the Hepton Singers and play violin in a small strings ensemble. I also love folk music and I sing sporadically in a folkish duo. For sample rates or further examples of my work please do email me. I can be talked into most things for a large flat white.